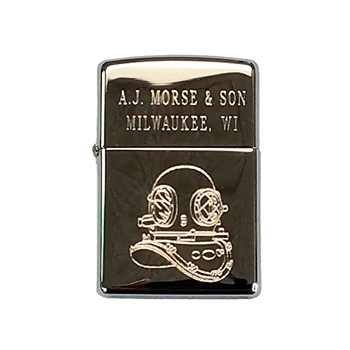 Engraved bright polished chrome zippo lighter. Beautiful engraving of the A.J. Morse 3 lite breast fed helmet. With A.J Morse & Son Milwaukee, Wi printed on the lid.